Ocular complications are infrequent but can be serious. “Complications such as macular edema, chorioretinitis and optic neuropathy may be vision-threatening and require treatment with corticosteroids as long as the recommended antimicrobial regimen has been instituted,” stated Sathiamoorthi. Sathiamoorthi, S. and W.M. Smith, The eye and tick-borne disease in the United States. Curr Opin Ophthalmol, 2016. 27(6): p. 530-537. Sudharshan, S., S.K. Ganesh, and J. Biswas, Current approach in the diagnosis and management of posterior uveitis. Indian J Ophthalmol, 2010. 58(1): p. 29-43. Agrawal, R.V., et al., Current approach in diagnosis and management of anterior uveitis. Indian J Ophthalmol, 2010. 58(1): p. 11-9. 83 Replies to "Growing list of eye problems in Lyme disease"
What can be done about it??? My lyme came back after a year of remission. First symptom was in eyes…went to my eye Dr who said it was the ” most impressive” follicular conjunctivitis she had ever seen. Treated me with 4 rounds of antibiotic/ steroid eye drops and 2 weeks oral antibiotics. It never resolved and 7 months later sent me to Emory University. I saw the head eye Dr who said it was either chylamedia or lyme and 2 weeks of antibiotics and I would be fine(not)….I am soooo done with Allopathic doctors. I am happy to year you have sought different opinions. I am sorry to hear not of the approaches have resolved your eye problems. I hope the article I reviewed and this blog encourage other doctors to study the issues. Can you please explain your eye symptoms? The peer reviewed published article reviewed focused on the growing list of diagnoses associated with Lyme disease rather than the symptoms. I recently developed cataracts that came on quite suddenly. I’ve also been diagnosed with Fughs Syndrome (FS). Do you think FS in any way connected to Lyme or co-infections? I’ve been told that surgery for cataract surgery can be risky for people with FS and make things worse. Any thoughts on this, doctor? Fuchs’ dystrophy also known as Fuchs’ corneal endothelial dystrophy or FCED, is a slowly progressing corneal dystrophy that usually affects both eyes. I was reviewing the paper to allow me to better understand ocular issues for patients in practice. You would have to ask your eye doctor. I finally found a doctor who agreed Lyme was possible. He ordered a western blot test, and it was positive. (I should probably mention that my husband also tested positive for Lyme disease, but never developed the severe symptoms I had and has never been treated.) I was treated for a year with tindamax and ceftin and my health improved, but the eye with the optic neuritis hemorrhaged and atrophied. A little over a month ago, I became quite sick with bronchitis, and then some of those old symptoms returned…chills, sluggish speech, forgetfulness, inability to concentrate, staring blankly, headaches, light sensitivity, some double vision, and pain behind my eyes. A recent MRI now shows optic neuritis in the bad eye, although MRIs in 2006 and 2007 did not show optic neuritis in that eye at all. A recent visual field test shows areas of vision loss in my good eye. I am scheduled to see a neurologist in 3 weeks, but am afraid it will just be a repeat of 10 years ago…with doctors seeming more interested in trying to prove it isn’t Lyme disease than in doing anything to try to save my vision. Do you have any advice for me, or information that I could share with my doctors that might help? In your opinion, what kind of antibiotic treatment is successful in treating neurological complications of Lyme disease? Do you have experience with or knowledge of any medical studies related to late-stage Lyme and vision complications? Thank you so much for your time. I was reviewing the paper to better understand ocular issues for my patients. It can be difficult to tell the cause of optic neuritis. They may decide that two episodes of optic neuritis is enough to call it MS. You would have to work with your eye doctor and neurologist. You should also consider consultation with someone who has experience in Lyme disease. My dad has severe inflammatory eye problems. His doctor suggested a cornea transplant. It did not work the first or second time. Last year, while thinking about having a third transplant, he tried IV ozone per Italian research. After fifth treatment one of his eyes exploded with a severe staph infection. He was placed on ABX and after five months it settled down but doctor says he needs another cornea transplant. Too much scar tissue. I would like him to try IV ceftriaxone first – and anti parasite drugs. Is it worth it? Do you glean anything from the results o his IV ozone treatments? His IgE at the start of this mess was 49,000. I had him take H202 drops (diluted oral) for six weeks and his IgE went down to 600 and he lost 40 pounds all in the belly. He struggles with exczema too. The h202 was one year before the ozone. The h202 helped his belly but not his eyes. Sorry to hear hear father is having problems. These two blogs addressed a broad range of eye findings seen in Eyes. Kudos to the author for reviewing what we know and don’t know. Our office does not have an ophthalmology on staff and therefore cannot answer your question. I have chronic Lyme disease and I have lost all of my peripheral vision in my right eye. After 2 years of eye care professionals all of who told me there wasn’t anything wrong with my eyes I finally found a Lyme literate eye doctor who at least acknowledges that there had been damage to my eyes. We are are grateful to the Mayo author for submitting a review of eye findings in Lyme and other tick borne illnesses. How did you find a Lyme eye doctor please help? Please read Kristin Reihman’s book Life After Lyme. She was my doctor in Pennsylvania and helped me recover from a very severe condition due to long term undiagnosed Lyme. I still have issues to resolve but her protocols were extremely helpful in my recovery. Her book can be a bit overwhelming in all the options, but the truth about curing Lyme is it’s a three level ongoing protocol 1- killing bugs 2- detoxing 3- empowering your mitochondria to work at an optimal level. And it’s a balancing act because every person is different. Every person will react differently to lyme and the protocols that restore your health. So you have to be open to trial and error and be diligent about making your body as strong as it can be. Brenda, did you have ocular issues as well that were resolved? How long did it take before you saw real results from the protocol? Thank you for sharing about her as well as her book. Looking into this. I found this to be quite helpful. I have Chronic Lyme Disease and was recently diagnosed as having Macula Degeneration. It seems also each year my eyesight changes, now I know why. Thank you so much. My 7 year old daughter has experienced what we call “visual snow” for 2.5 years. Around her 5th birthday we discovered that she sees static all the time. We are not sure if it suddenly appeared the night she thought millions of bugs were flying around her room, or if she has always had this. Have you ever encountered any Lyme patients that dealt with something similar? There are a number of eye disturbances in Lyme disease that do not fall under a specific diagnosis. For example, there are often floaters that can increase in numbers. You should include an ophthalmologist as part of your evaluation. Is severe eye dryness a condition you have seen or read about in Lyme patients? Might it be caused by medications taken to treat TBDs? What is your experience? Thank you for talking about ocular manifestations of TBDs. Dry eyes occur in Lyme disease but they also are common in other conditions. 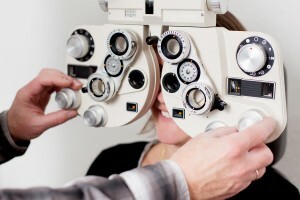 You should include an ophthalmologist in your evaluation. I have late stage lyme. Not chronic anymore but still dealing with fatigue and muscle joint issues as well as eye problems. I get floaters now and my vision is so much weaker now. I am 41 so I guess my vision is naturally getting worse but it has gotten worse rapidly. Some of my first symptoms of lyme were chronic dry eye and oh..i t feel like I have sand under my eyelid in certain spots. It can be difficult to be sure a tick borne infection is clear. I found it interesting to review an article summarizing the range of eye issues related to Lyme disease. Could it be a Sjogren disease instead? This comment highlights the challenges doctors face when the clinical presentations is similar for more than one condition. The symptoms overlap in part if they are driven by an overactive immune response. I might consider a rheumatologic consultation. Trouble is when all Sjogren symptoms are present but the objective criteria (blood analysis & biopsy negative for Sjogren). Doc explains no conclusions can be done and it’s needed to wait for stronger evidences (ie more damages 🙁 ). More evidence can take more than 10years. So, it’s accepted to be diagnocated ‘probably Sjogren’, even with quite no evidences (except dryness), while the option for Lyme is closed after the Elisa+WB. I have been diagnosed with acute lyme disease over a year ago. It was discovered when my left eye was hurting like sinus pressure so I went to see an eye doctor, there they diagnosed it as optic neuritis. That doctor admitted me into the hospital for IV steriods. But then referred me to a neuro ophthalmologist that did a Western Blot and found the lyme. Thing is, I feel like a lab rat. I haven’t been able to get off the predisone since being diagnosed over a year ago. I’ve went from 20 mg up to 80 mg when my eye has gotten bad. I haven’t had to be increased on the predisone that high for about 7 months now, which is the longest time in which it hasn’t swollen on me or hemorrhaged. But I feel I’m getting no where on getting off predisone, if we lower it my eye reacts in a negative way and within 2 days I have to increase my predisone back to mg a day. I feel I’m on a merry go round that I can’t get off. Any assistance would be helpful on someone with the similar issue that actually was able to get their eye under control to get off predisone. Or a place within the Dallas, TX area or wherever I need to travel. Houston, any city in the US just to get this controlled and hopefully behind me. Doctors are divided as to whether a persistent infection might underlie common chronic condition. You may find it helpful to be reevaluated for Lyme disease again. I am not familiar with who to see in your area. Dr. Cameron, you were the first doctor I saw for lyme after my regular GP. I had lyme twenty years ago and seem to have “recovered” though one never knows. Every member of my family has been infected with lyme or other tick borne illness. Among them, there are a number of eye issues. My husband has Fuchs’ Dystrophy and my grandmother, who at the time of infection was quite elderly, lost her peripheral vision in the space of several weeks and then went totally blind. She died, in my opinion, from lyme complications and was never truly treated. My brother in law, a pilot, has had positive lyme tests and suffers from ocular migraines and terrible eye pain. I believe it is all related to tick borne illness and not being adequately treated. GP’s are saying such things as, “lyme disease is over diagnosed” and “one week of antibiotics should take care of it”! Infection is rampant, yet much of the mainstream the medical community remains in denial. The height of arrogance irresponsibility. I had early cataracts in both eyes, developed after I got sick with very late stage Lyme and several other TBDs. I read that syphilis is on the differential diagnosis list for cataracts. Shouldn’t Lyme also be on that list? My cataracts started at 51, neither sister has them and my mother’s only began at 70 or so. There are many unresolved questions in tick borne illnesses. I have been encouraged by the growing numbers of specialists looking a second time as the link between tick borne illnesses and common diseases. I was diagnosed with Lyme in 2014 and was told I most likely was infected several years earlier. My biggest symptom has been brain fog until last year at which point I had what I will call an episode of heat exhaustion which precipitated exacerbation of my symptoms and the immediate onset of visual issues such as floaters, static type vision, light sensitivity, headaches and auras that stay with me every day. Note, prior to this episode I had almost perfect vision. I am now being treated by an LLMD and am 2 months into antibiotic treatment. I would say I have so far experienced a small reduction in my symptoms since starting the treatment. I am also taking several herbals as well. I have been wondering if my symptoms are originating from my eyes or if brain involvement is a contributing factor. I have had an MRI scan and an EEG without any significant findings. I am happy to hear you have shown some improvement. I don not think anyone has an answer to your question. Can round retinal holes be caused by Lyme-disease? The ophtalmologist i went to last week said i have round holes (he called them tufts) in the retina in both eyes. He said its a “genetic thing” and doesn’t require laser surgery because its very unlikely a retinal detachment will come from this. But is he able to see if these holes will stay like this or if they progress and get bigger or if i get more holes over time? Also a year before these holes were found i was examined by another ophtalmologist and before that i was examined by several other ophtalmologists and none of them had seen holes in my retina. The ophtalmologist who found the retinal holes said it’s because they weren’t visible back then, they became visible now because i got older. He said they didn’t develop in this one year where i hadn’t seen any ophtalmologists. I went to all these ophtalmologists because for more than 2 years i’ve been suffering from a condition called visual snow and it has been getting worse. I have read online that some people who have lyme-disease also experience visual snow that’s why i thought i might have lyme-disease as well. But my eyes were healthy all this time until recently when they found these holes. Im very afraid that these holes are caused by lyme disease and that they get bigger or that i get more holes. Can anyone help me with this? Does lyme-disease cause retinal holes and can they get bigger or can more holes develop? And would the ophtamologist have seen it, if these holes are caused by other things (such as lyme-disease)? Thank you for your anwer Dr. Cameron! Yes i stll visit doctors, but unfortunately nobody was able to help me so far. But my question is, is it possible that lyme-disease causes retinal holes? Thank you for your replies. I am not sure anyone has investigated that question. Ok. Thank you for your answer. If you get any information on this in the future, please let me know. Same problem as Kalle. I have a retinal hole in one eye and torn retina in the other. I took a test for Lyme that came up negative but I have history with other insect bites and I have endured the night sweats and headaches and am convinced that this might be the problem with the eyes. Both eyes have been lasered but this is not treating the cause. My relative has Lyme and has had lots of problems . Her eye Dr just told she has more shots spots on her eyes Started with one now in both eyes. Compared them to cigarette burns. Said they would watch them, is there a treatment for this condition? I was impressed as to how many eye problems have already been described in Lyme disease. You would need to take the question to an ophthalmologist. Hi Dr, Daniel. I went through several specialist who did not know exactly what happened to turn my visa right dark. I did commented to the optometrist and he then suspected it was tick disease. this took in california and was positive result. I’ve heard from him to say that,. the vision will not come back. But I do not give up believing that there will be a solution later. every day I wake up in the hope that I will have my vision back later. i need help, if I can talk about what I can expect. Thank you very much. God bless you all. I am sorry to hear you have not been able to reverse your vision. I would make sure that Lyme or a coinfection have been treated. You also need to sure any other eye conditions are treated. Hi Doctor Daniel, I lost some vision in my left eye, about 30%. I went to the eye doctor and he sent me to a retina specialist. He saw some swelling in my veins going to my retina. He sent me to have a MIR to see if i had a brain tumor or MS. He also sent me for a blood test. My MRI came back negative. My blood work show a false/positive for lyme, but the retina specialist had more testing done on my blood work and it came back positive. My doctors office called and asked if i remember being bit. I said that I had a bite on my stomach, which had the bullseye. She set up a appointment with the ID doctor. I went to him and he asked me why I thought I had Lyme disease. I said, the results are in my blood work. Well his office never received it, after 2 times my doctors office sent it. He went to say that lyme disease can not effect your eyes. Then he proceeded to his cell phone and started to read what lyme disease can cause. He said that there isn’t anything about eyes. I left very angry none tbe less. I called my doctors office about the blood work. They sent it for the 3rd time, and made sure the ID doctors office received it. It’s been over a week and I haven’t heard back from them yet. Doctors are divided on the topic. The first descriptions of Lyme disease as a rheumatologic problem are hard to change. I recently saw an ID doc at albany med and he literally told me that there has only ever been 1 true case of lyme disease in NY state and that I don’t have lyme, though i tested positive after having the antibodies for over 4 years. I feel how angry you must have been. I believe I’ve had untreated lyme for around 4 yrs. Neuromuscular issues, eye issues and color change, mood swings from hell, sever muscle weakness, chronic infections, complete loss of taste and much more. I was only treated with 3 weeks of doxy, and actually ended up feeling worse. I’ve decided that too many doctors let their arrogance get in the way of actually doing their job. Thank you for you response and your research on this. I want to thank everyone else thats written about the effects on their eyes. I thought I was alone. My mom has suffered with eye problems for almost a year. Her doctors here said all tests came back negative; there was nothing wrong, only dry eye. She also constantly complained about being tired and having no energy and really acted depresssed. Well, I finally took her to Boston. There she was diagnosed with uveitis and cornea problems, in both eyes. The retina doctor did numerous blood tests and still could not find out what was causing the inflammation in the back of her eyes. They would not do anything for the corneas until the inflammation had gone down. She was put on prednizone which brought it down substantially. Finally, a lyme test was done and it was found she has lyme disease and has had it for a long time. Can lyme disease cause such severe eye problems and will she get better? She is now on doxyclcline and feels a little better. I’m hoping we can improve her eyesight, too! Uveitis is one of the findings in Lyme disease. I was encouraged to read the review article connecting some eye problems with Lyme disease. It may take more than a simple 3 to 4 week course of antibiotics to resolve the uveitis. My Boyfriend got antibiotic treatment to kill the Lyme and now his eyes bulge out when he puts pressure on his head. Can Lyme cause the eyes to bulge out and if so what is the cause? Is it because of the inflammation after the treatment or is it because there’s damage done to the eyes? I am not sure what is causing his symptoms. You should have your boyfriend evaluated by a neurologist and ophthalmologist to rule out another illness. My 7yo son and I both have Bartonella henselae. He also has Lyme. I’m waiting on further Lyme testing for me. We are both on antibiotics for Lyme/Bart (and he is on monthly ivig temporarily to boost his immune system after Lyme destroyed it). He has had floaters, light sensitivity and worsening blurry vision since August 2017. He was diagnosed and on Lyme specific antibiotics in Jan 2018. I started feeling symptoms in March and had light sensitivity and blurry vision but got on antibiotics quickly so my vision is very manageable. We’ve been to prism glass eye drs, developmental optometrists and regular opthamologists including a uvietis specialist. Everyone says his eyes are fine physically and no Uveitis. His vision is very variable day to day and minute to minute. He has particular trouble seeing the letters in words and sentences especially when the lines are close together. For distance he’s been measured at 20-20 and 20-400 depending on the day. (1) is there any serious illness like those described above related to Lyme that all of his opthamologist exams would not have discovered in an exam? (2) any thoughts on what is going on and how to address? The opthamologists think it’s some brain issue like dyslexia. Since I have it too I can tell you the light sensitivity and blurry vision completely coincided with my other Bart symptoms and it’s a vision issue not something like dyslexia (and this was never an issue before Lyme for him). Please help. I’ve been to so many drs. It is interfering with his school work especially reading. I don’t know what other dr to go to at this point. It am happy to hear the ophthalmologists have not found another issues. I often see a sensation of blurred vision, as if the eyes don’t work so well together. 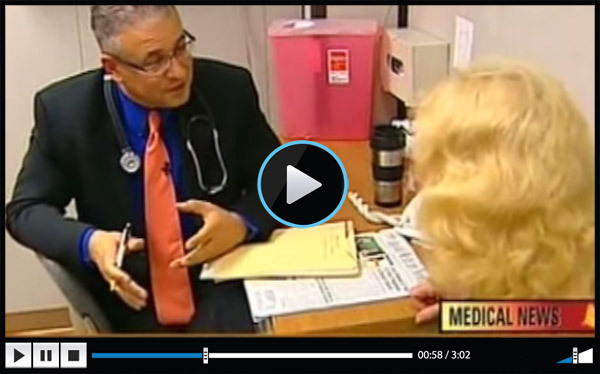 I use Dr. Padula, from Connecticut to help at http://padulainstitute.com . You may find another tick borne infection e.g. Babesia might play a role. I have been bringing my high school aged son to Dr.Padula for a few years now . I am from CT. He sees a lot of children with vision problems and lyme. He has advanced equipment to measure effects on eye system differential to brain and also a walking tract with sensors to see if the vision is effecting the patients gait (walk).He prescribed the best pair of glasses for my son with prisms and they actually were not as strong as the previous ones. He was the first medical person to send my sons blood for Lyme testing to a lab in CA called IGenX. He said my son had the bio markers for lyme. He has been experiencing classroom vision problems from 2nd grade-11th grade now. The school’s implementation of the IDEIA program has been terrible. My sons pediatrician said he didn’t have Lyme. He used the CDC testing and maybe could not read the test. I brought my son to another MD who did CDC Eliza and Western Blot and confirmed the expensive IGEnX testing Dx of Lyme/Bartonella/Babesiosis. I never ever dreamed that this years long quest to find out why my tested and proven gifted son was sporadically missing things in class would turn out to be Lyme Desease which I had naively thought started with the bullseye skin rash and joint pain would be the cause of his classroom vision problems. I had taken him to 7 eye doctors in CT, MA, RI before hearing about Dr.Padula. Now the trouble for me is finding a lyme literate doctor who will accept my very good Insuance plan here in central CT. Does anyone have any recommendations? Why is it that so many of these Lyme Doctors say they won’t take any insurance? Have other patients been experiencing this? My daughter now in college had terrible problems with the double vision and what she described as “words falling apart on the page” starting in her 9th grade. I feet that she too had Lyme but I have not been able to convince her to be tested. I have Lyme.. They say it often runs in families and they do not know why. Maybe we have infected ticks somewhere around our homes or where we go? Maybe we are more sensitive to the infections from their bites? My friend in PA and her 2 children also tested positive. Interestingly her son and my son are both Boy Scouts and have spent a lot of time camping. I rarely spend time outside. The blurred vision for me comes and goes. I see it more when I am overtaxed. To me it looks like I am looking through a gel rather than clear air. People only 4-5 ft away look blurry. i hope your son finds some answers with Dr. Padula. I hope that his school district is more supportive than mine has been. My district has done nothing but faught the parents all the way. It seems they want to submit him on the headcount to the state to get the federal dollars but not spent a cent on proper evaluation, writing an appropriate IEP because they really do not know how to or desire to support a child with vision issues. I so hope you find better medical help and school support for your boy. I have been told to stay away from any shape or form of steroids if you have or possibly have Lyme! I used to have perfect eye sight. All of a sudden I was seeing black floaters and my short vision was declinimg. I was squinting in th4 glare. I developed astigmatism, droopy eye lids, conjunctivitis, dry eye, watery eyes. Now my eyesight has gone to-3.75 and -3.50. I can’t wear contacts. I got told this was all normal for a 47 yr old woman. ALSO told I couldn’t get laser to correct the issues. Business is my biggest issue and judging distance especially in the evening. Do you have any comments or suggestions. I am pleased to see a few ophthalmologist are looking into eye problems. It can be difficult to determine whether additional treatment might help. 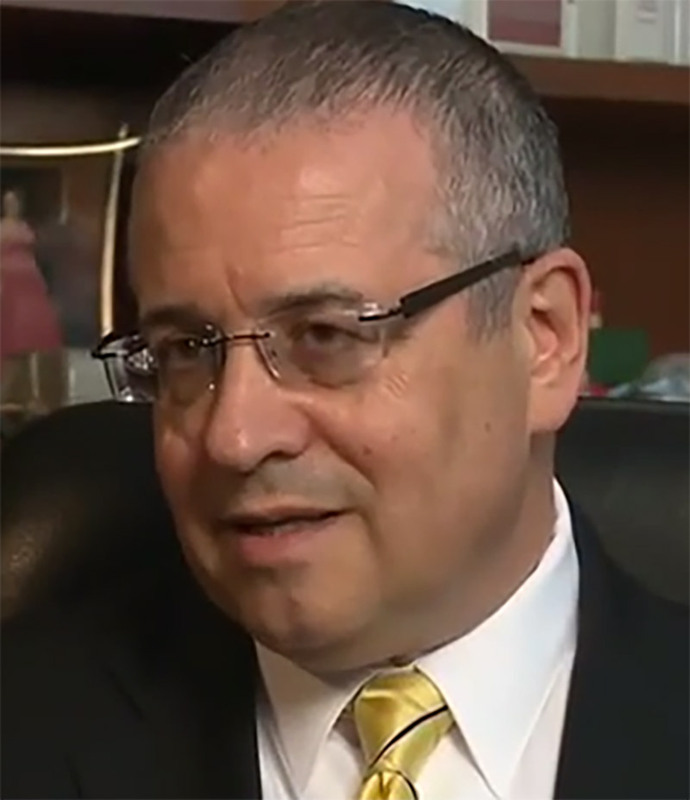 You may also want to check with Dr. Padula in Connecticut who works with eye changes with neurologic events e.g. Lyme disease and strokes, to include rehabilitation. Dr. Padula is one of the increasing number of specially trained Doctors of Optometry that are expert in neurologic manifestations of disease or trauma that affect vision. These highly qualified optometrists are Fellows of the College of Optometrists in Vision Development (FCOVD). Visit the COVD website (www.covd.org) for more information. One of these highly regarded specialists is Dr. Robert Fox, OD, FCOVD (www.FoxVisionDevelopment.com). I am sorry to hear how many eye problems you are having. It is common in tick borne illnesses to improve in some areas but not so much in other areas. I also bring in a broad range of specialists targeting the more severely affected areas to rule out other problems. I can’t comment on whether there are any options overlooked without an evaluation. We need more doctors to take on the challenge. I noticed my vision changes this winter after my yearly visit to ophthamologist, so scheduled a second visit which determined a significant change. Then was scheduled to another ophthamologist for 2nd opinion, and he said the vision problem was not correctable with lenses, and that I should see a neuro ophthamologist (only 1 in Maine, but new in her field). I chose to get a referral to Mass Eye & Ear with Dr Dean Cestari (one of the very few having board certification in both ophthamology and neurology), but can’t see him til November. Vision is very blurred, and is now 20/50 (or is it 50/20?} … anyway, what others see at 50 feet is what I see at 20 feet. Yesterday I spoke with someone who mentioned 3 people they knew locally whose vision has changed since they were diagnosed with Lyme. Have requested a broad range of Lyme testing , to include PCR, from my PCP. By the way, I had 11 imbedded ticks removed this year … my husband is becoming a pro at this! We live in Warren Maine, in the most densely tick infested area of Maine. And no, I don’t want to move. Any other suggestions? Note: I had mitral valve replacement with St Jude valve 8/1/17 , so unable to have MRI. I am glad to hear you are including a tick borne evaluation. Hello. I’ve had lyme disease undetected at the age of 11, but was diagnosed at age 15. I have many health related issues due to Lyme. The right side of my face feels slightly stiff and there is slight drooping of the right eye. Recently, I noticed that my right eye seems to be smaller than the left. Is this a side effect of the Lyme as well? Is there a name for this symptom? Is it reversible? It’s very distressing and affecting me greatly. There is a growing awareness of eye problems in Lyme disease including Argyll Robertson pupil and Horner’s syndrome. You can copy and paste one of my Lyme Disease Science blogs at http://danielcameronmd.com/growing-list-eye-problems-lyme-disease/ You should also rule out other illnesses. It is important to include an ophthalmologist as part of your evaluation again if there is a new finding. My husband cant get a possitive Lyme test in New Zealand even though My daughter and I did. his eye are almost blind now. Cant do anything about it. Eye doctors are ignorant of Lyme too. very sad. I gave my doctor information from the internet but he scoffs at it. I know not all doctors are jerks but the numbers climbing. My mother is having macular problems and has been told her options are steroids or laser she is still on her antibiotocs for lyme…shes 3 months on them now but our fear is that the steroids might make the lyme worse? I find eye problems are common in my practice. I included my Lyme disease science blog of an article on eye problems to encourage a conversation and more research. It can be difficult when steroids are needed for one problem yet we try to avoid in Lyme disease. I hope treatment for Lyme disease will help. About 11 years into my Lyme Disease, I developed a four-layered macular pucker. This was 6 yrs ago and my eye surgeon and ophthalmologists were not Lyme literate and would not make a connection. Since then, I’ve been trying to find any research that I can bring to their attention regarding this kind of eye condition. The closest I’ve come so far is a brief mention of research exploring a link between bartonella hensalae and macular pucker. Have you come across any information relating to macular pucker as an ophthalmic manifestation of tick-borne disease. I’m an American living in the Scottish Highlands, where I acquired my Lyme Disease. I don’t know if that makes any difference, I know we have different strains here. As a an allopathic MD for many years, I have been studying the Lyme Disease and it’s Spectrum disorders, and would suggest, (though highly controversial, and absolutely verboten by the FDA and other PTB) consideration being given to the off label use of Stevia (to break down biofilms) and Colloidal Silver, as a germicidal to eradicate the Lyme spirochete. This disorder–Lyme–and it’s syndrome and–syphilis–and it’s syndrome are quite similar in their manifestations. Both are spirochete type disorders. Silver and other heavy metals were long used for control of syphilis, and seemed to do well up until the advent of antibiotics (Penicillin), but then fell by the wayside. One should be watchful for the development of possible Herxheimer reaction. Then with the advent of the “blue man”, the FDA ( read “better living” through governmental interference and stupidity) stopped the use of colloidal silver was curtailed without further study nor research. Turns out that when the “blue man” was studied, he was using a silver solution, which was no where near the make-up, and chemistry of colloidal silver, and despite his looks was pretty healthy and did not die of silver poisoning. My son had been growing on the projected angle on his chart but then stopped growing in height. He has been tested by IGenX and also the CDC test positive for Lyme, Bartonella & Babesiosis. Could these deseases by stunting his growth? My child’s doctors wonder but say they haven’t any information on how children’s growth is effected by lyme and coinfections. I believe he has had it for several years undetected. Maybe from 7 years old when I saw his fine motor skills in his handwriting going down when they should have been improving. He was hit in the face by a baseball in Little League the next year, dropped out of baseball. He was diagnosed with binocular vision problems by Dr. Liu in 5th grade after she diagnosed his sister. It wasn’t until high school that I heard about Dr. Padula. He dx the lyme bio markers confirmed by IGenX blood test. I am concerned as I am quite tall. For quite a while my son was in the 90th percentile of children his age for height but now hasn’t been thriving for a few years. He is now on the low end of normal said an Endocrinologist? What can be done to help him to grow. He is 17. Could the Lyme and Coinfections caused this? His father keeps telling him there is nothing wrong with him and discourages him from following his antibiotics. This is not helpful at all. Please what can be done? You are in New York, do you have evening hours or weekends? Is there a Lyme literate MD nearer to central CT that you would recommend? How frustrating. Call my office in New York at 914 666 4665 with questions. I have bi lateral peri-orbital edema with episcleritis. I’ve seen neuro ophthalmologists, immunological ophthalmologists along with a conjunctiva biopsy. The biopsy formed a pyogenic granuloma. I had mentioned LASIK surgery but was given a stern warning against since I had an underlying issue which produced the granuloma. A cousin with diabetic retinopathy had LASIK of which I suggested she get a second or third opinion. The LASIK was not successful. A diagnosis for my decade long illness has been elusive but I plan on making an appointment with you as soon as I can secure transportation. Shoulder surgery about a year ago in which I was given ancef (sp) and vancomycin during & after surgery seemed to have a significant effect more so on my right eye, I may have actually herxed two days after, both of which never happened before when I first pursued Lyme with various rounds of AB’s. It is why I think and hope a revisit of this issue will be beneficial. Forgive the comment as I only have a BS after my name but when I read someone contemplating LASIK I thought I’d relay what I was told. Perhaps you could further comment. I often see ophthalmologic problems in my Lyme disease patients. I encourage my patients to also continue their care with their ophthalmologist.